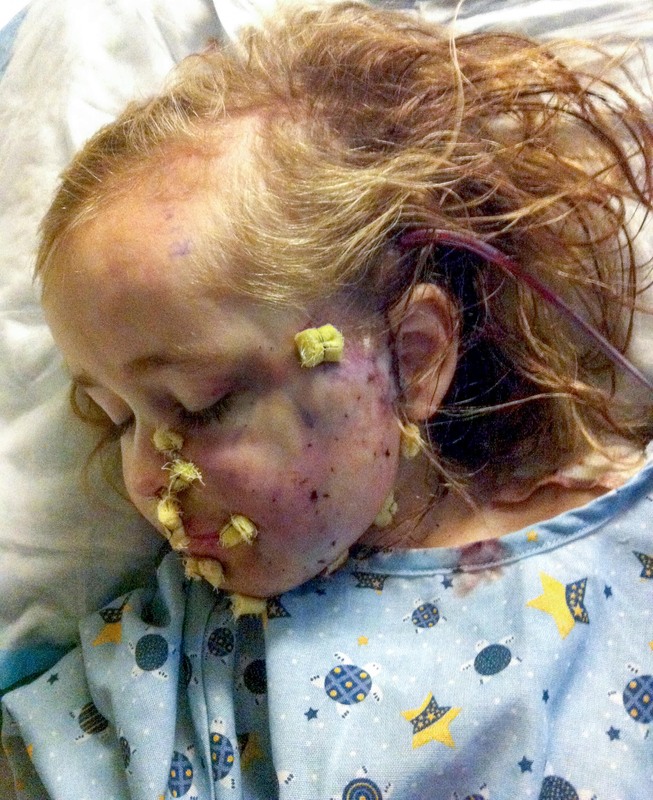 The little girl was first diagnosed when she was just eight months old. 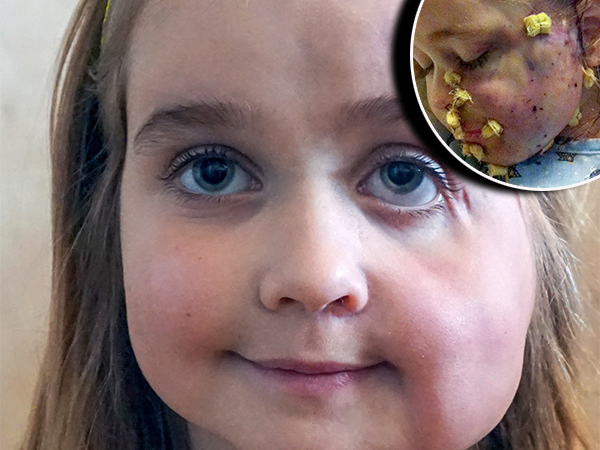 An adorable right-year-old girl could lose her face, after being diagnosed with a rare disease. 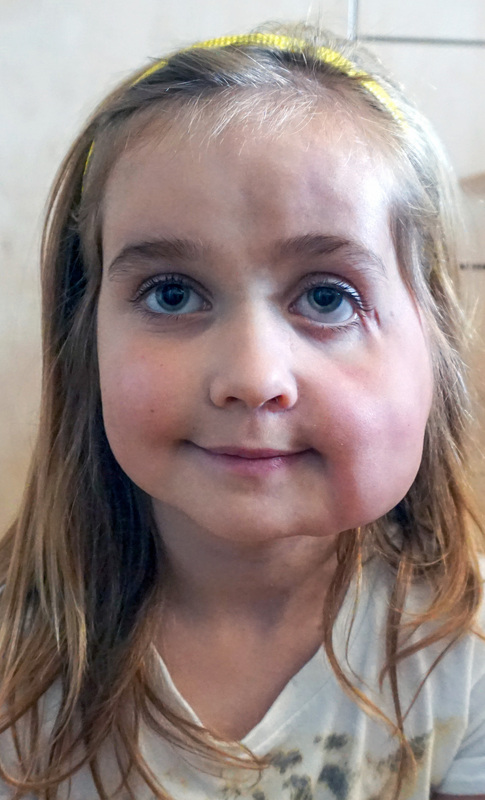 Lucy Hancocks, from Moonta Bay in South Australia, suffers from Parry-Romberg syndrome – a condition where the immune system causes the tissues beneath the skin to shrink. "I knew something was wrong the minute Lucy was born,” says her mother Jodie (47). “The left side of her face looked smaller than the right. Jodie, a full-time mum, and husband Nick (37) were told there was nothing doctors could do to save their daughter. But the couple refused to give up and managed to find a doctor overseas who was willing to help. "We managed to raise £115k (R2 million) so Lucy could have three operations in the US,” explains Jodie. To prevent the swollen lacerations from getting worse, little Lucy has been on steroids but as a result, the left side of her face has sagged. But the little girl is a positive fighter. "Lucy is so brave though. She isn't fazed by surgery. We don't treat her any different to our other children." Dr Anjali Mahto, Consultant Dermatologist and British Skin Foundation spokesperson, says: "Parry-Romberg syndrome is a rare, autoimmune condition affecting one side of the face in which there is a loss of tissue such as fat, muscle and bone beneath the skin. "It can be difficult to treat and often requires the use of drugs which suppress the immune system." Lucy's condition isn't easy to disguise as it's on her face and she is often subjected to cruel taunts by strangers in the street, says her mum. "Lucy gets embarrassed and just stands behind me as I explain her rare condition. "Thankfully she's a tough kid and will say 'I'm going to look so good after surgery,' when we discuss her future operations." Jodie hopes their story touches families with a related experience. "She has been through so much for one little girl but despite it all, she never fails to smile and be happy. "I hope our story helps any other families going through something similar as without the fundraising and searching for alternative treatments, Lucy's quality of life would be completely different."